Step 1 Chop the eggs. Stir in the onion, celery, mustard, vinegar, mayonnaise and salt. Cover and chill until ready to serve. Step 2 Toss together the shredded lettuce and dill. Step 3Divide the egg salad among 4 slices of the bread, spreading it to the corners. Grind black pepper over the egg salad, then place equal amounts of the lettuce-dill mixture on each sandwich. Top with the remaining bread slices. Cut in half and serve. In Recipes-list.com we have selected the most viewed recipes from category - Sandwiches Vegetarian . Enjoy the best recipes specially selected for you! 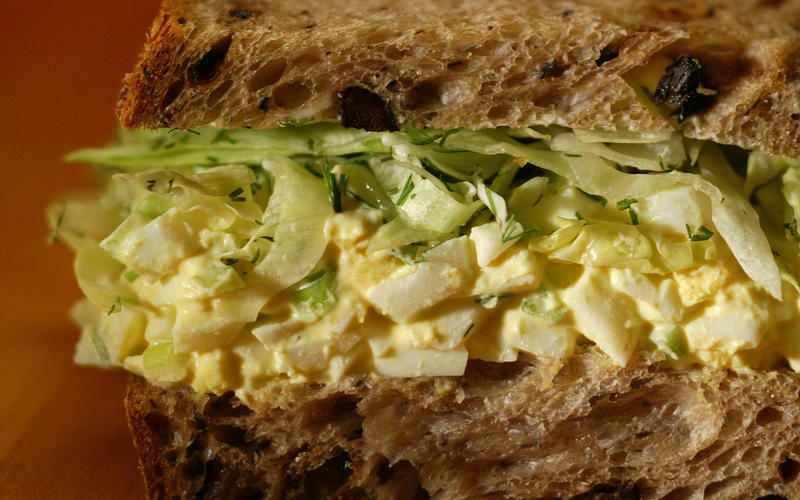 Egg salad sandwich with dill is the right choice that will satisfy all your claims.